Meet Liam, an Apple robot designed to take apart 1.2 million iPhones a year. 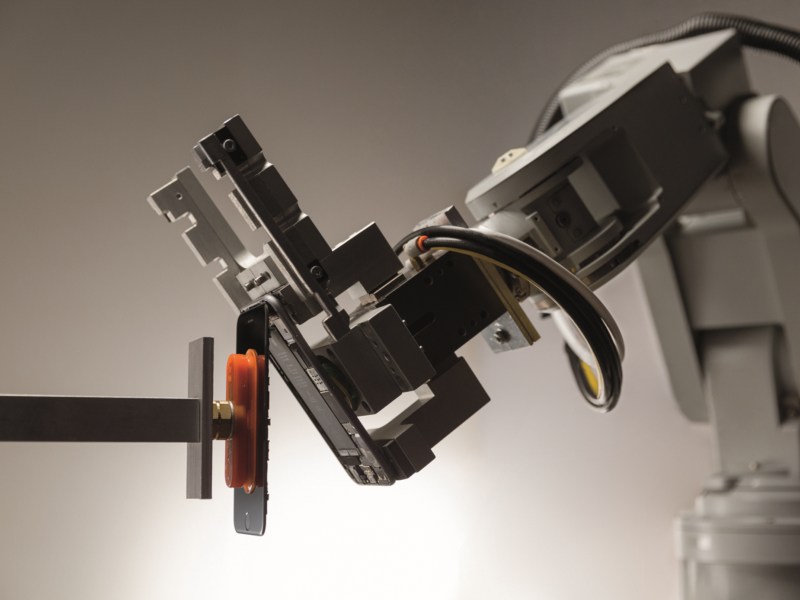 "Liam is programmed to carefully disassemble the many pieces of returned iPhones, such as SIM card trays, screws, batteries and cameras, by removing components bit by bit so they'll all be easier to recycle. Traditional tech recycling methods involve a shredder with magnets that makes it hard to separate parts in a pure way (you'll often get scrap materials commingled with other pieces)." According to Apple's environmental report released last week, Liam's goal is to pick out all the high-quality, reusable components from old iPhones to reduce the need for mining more resources from earth. While the technology currently only exists in Apple's factories in California and the Netherlands, it's the company's experiment in recycling technology — a field that is gradually attracting the interest of technology and robotics entrepreneurs. We just might end up in a world reminiscent of the 2008 Disney and Pixar movie WALL-E. According to the Apple's recent environmental report, the company has collected nearly 90 million pounds of e-waste through its recycling programs, which is 71 percent of the total weight of the products it sold seven years earlier. "One Liam is not going to make much of a dent in the toxic mountain of electronics waste Apple has helped create." While Apple told Mashable's Kelly that no other company it knows of is disassembling technology products in this way, there are many interesting "recycling robots" like Liam out there, although most are still just prototypes — except for ZenRobotics, a company from Finland. The ZenRobotics Recycler utilizes artificial intelligence to identify and sort materials from mixed waste. Show samples of materials to the system, and the software will learn what to do with it. According to its website, the company has the "first commercially available robotic waste sorting system." This month, it announced plans to deliver its first robots to the U.S.
A U.S. startup, AMP Robotics, aims to change that by offering "scalable recycling." The company is fairly new, and founder Matanya Horowitz says he had the idea to bring robotics to the recycling industry because conditions for recycling workers can be "dull, dirty and dangerous." He says "recycling is ripe for this technology." Some more future-looking solutions to encourage recycling might lie with robots that encourage you to throw your trash into bins. For a time in Disney World, a talking trash can called Push roamed the streets of the theme park, encouraging people to discard trash in it while cracking jokes at passers-by. It's no longer there after the contract expired in 2014. A few years ago, the Dustbot, a Segway-robot hybrid roamed the streets of Italy, collecting trash when called. The project ended in 2009. As robotics and technology like artificial intelligence matures, we just might see more of these robots hiding behind sorting facilities or roaming the streets — especially because we're accumulating more and more waste globally and in the U.S.